Last weekend I went to Norfolk for my cousin’s wedding and on Sunday we decided to visit Pensthorpe Nature Reserve where the BBC programme Springwatch is filmed. The main focus at this time of year is the lakes and the water birds that reside there, but throughout the year it is possible to get close to all forms of wildlife that frequent the riverbanks, meadows, woodland, farmland and gardens as well. 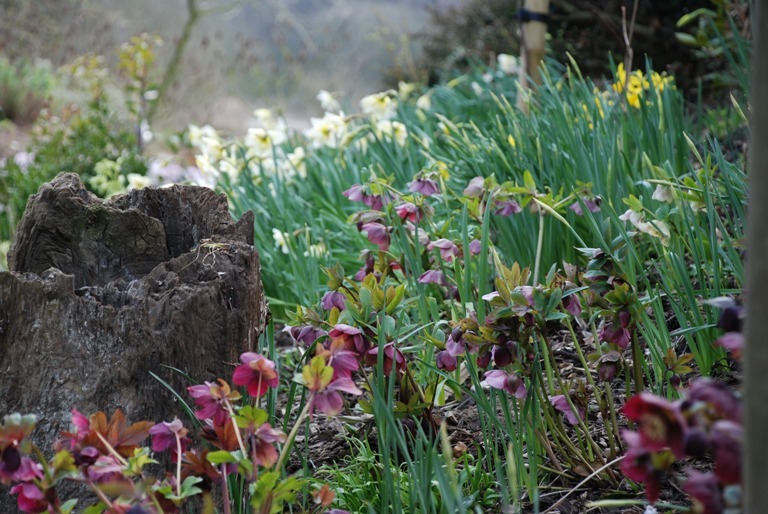 These deep purple hellebores look amazing with the golden heads of the narcissus, here they are again en mass. 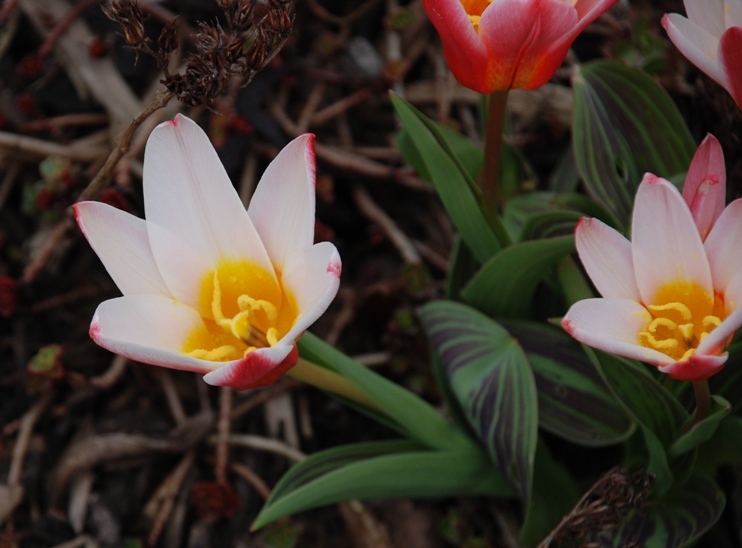 …and these dwarf early-flowering tulips really brightened things up….. But the star of the show for me was the woodland underplanting of Euphorbia amygdaloides var. robbiae which illuminated the ground beneath the trees…. 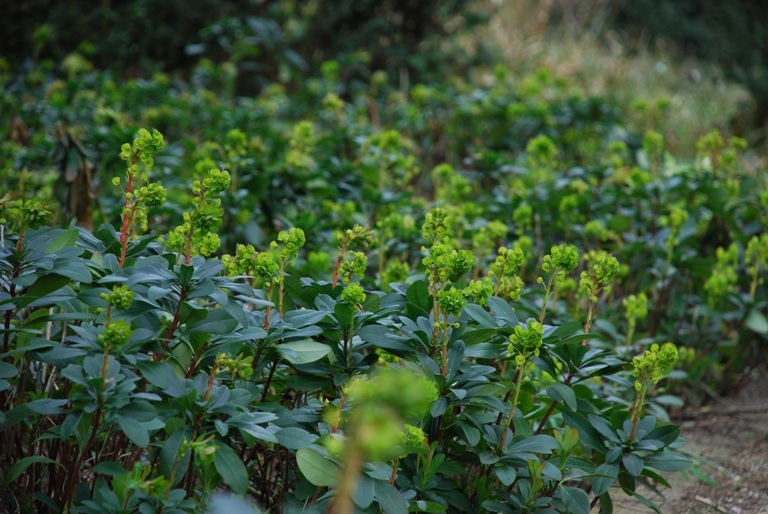 This is a shade loving, spreading wood spurge that has long-lasting lime-green flowers in late Spring above rosettes of glossy, dark green leaves. 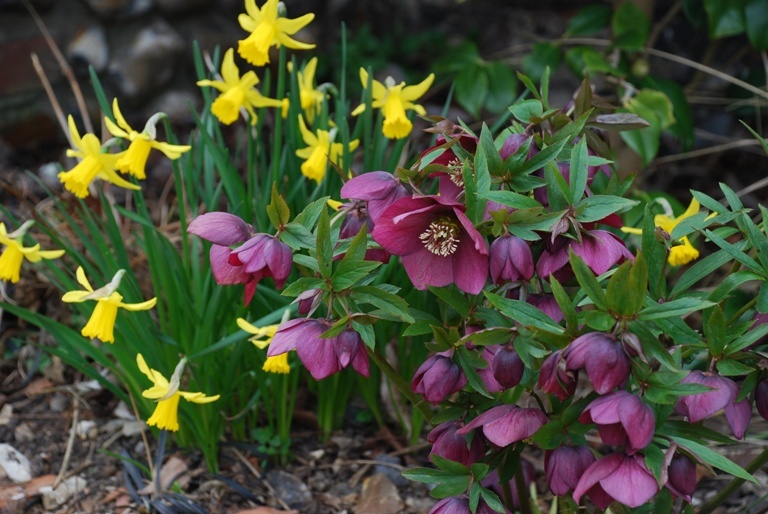 It’s a brilliant plant for any difficult areas of dry shade and is particularly fabulous for planting under trees. It’s evergreen too which is an added bonus although can become invasive if not kept in check in a small garden.